February is one of the busiest months of the school year: Valentine's Day, the 100th Day of School, President's Day, and the inevitable wave of sickness that comes every year... 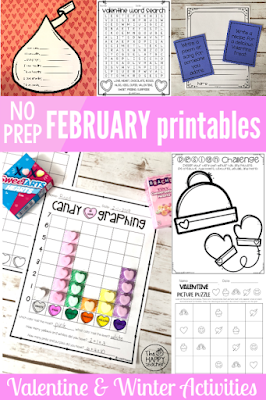 It's a wild month. 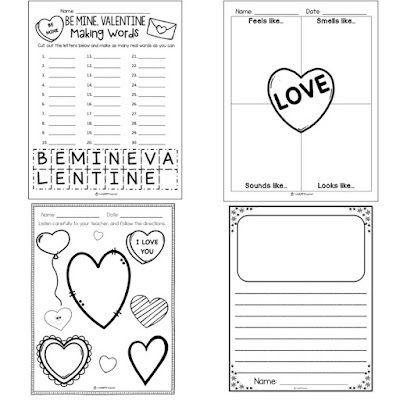 Quick writing activity that will make a cute & easy bulletin board display! 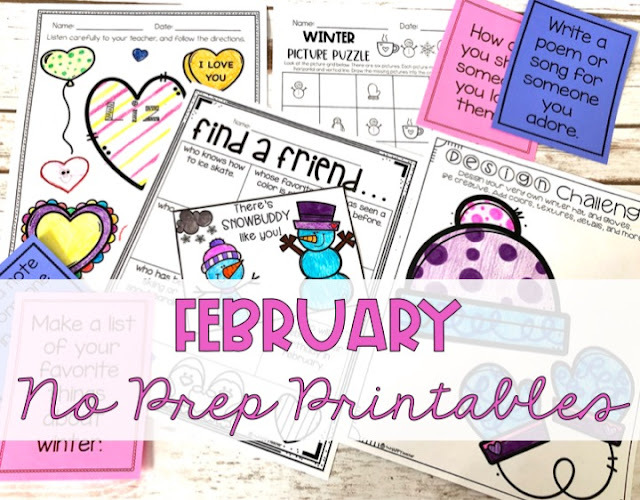 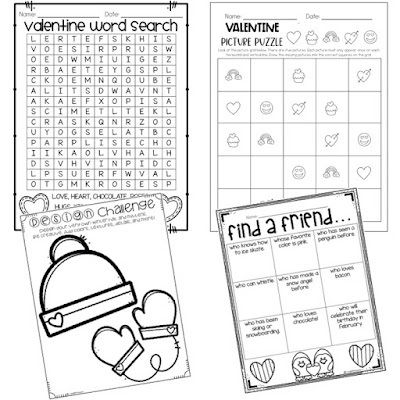 More good stuff: Valentine word search, logic puzzles, design challenge, Find a Friend, Making Words, graphic organizers, and following directions/listening activities. You can see a full preview on TpT by clicking one of the images below.